Although traders can gain a great deal of profit from trading binary options, the reality is that there is still risk involved – regardless of one’s experience – and with this risk comes the chance for financial losses. Yet, rather than just tally up the loss and move on, there are some alternatives that may make losing funds into a more positive experience. In many ways, calculating a trader’s gain or loss with binary options is much easier than doing so with investments in individual stock shares. Because profit or loss depends simply on the direction of an asset’s movement as versus a specific buy and sell price, traders do not need to concern themselves with an asset’s purchase “basis” versus its selling price. In addition, unlike many other types of investments, the gains or losses when trading in binary options are typically always considered to be short-term versus long-term. Prior to placing any binary option trade, the amount of potential gain or loss will already be known to the trader. This, too, is unique to the binary options market. As an example, a trader may decide if the price of gold will be above $1,500 at 2:30 pm. If the trader believes that it will be, then he or she will buy the binary option. However, if the trader believes that it will not be, then he or she will sell the binary option. The price at which the trader buys or sells is not the actual price of the metal, but rather the price is a value that lies between zero and 100. In this case, for example, if the price of gold is greater than $1,500 at 2:30 pm, then it may be priced at 40.00/45.00. (The first number is the bid price – the price at which the trader can sell, and the second number is the offer price – the price at which the trader may buy). The bid/offer price will typically fluctuate up and down throughout the day. However, the price will always settle at either 100 (if the price of the underlying gold in this example is above $1,500 at the time of the options expiry), or zero (if the price of the underlying gold in this example is below $1,500 at expiry time). In this particular case, the trader’s profit or loss is determined by calculating the difference between the settlement price of either zero or 100 and the trader’s opening price (the price at which the binary option was bought or sold). Depending on a trader’s country of domicile, there are different ways in which investment losses may be treated. In the U.S., for example, traders may be able to claim the loss on their income tax return as a short-term capital loss. Short-term investment assets are those that have been held for one year or less – and this is certainly the case with binary options, as some trades have a duration of only 60 seconds. Typically, investors in the United States may deduct up to $3,000 of a short-term investment loss against other income such as their salary or interest from other investments. If the trader’s loss for the year is in excess of $3,000 then it may carry over into the following year and it will be considered as a long-term loss. In any case, it is best to first consult with a tax advisor in order to determine the exact amount that may be deducted. While no trader enjoys losing money, the reality is that it does happen. Therefore, it is important to understand how such losses may be treated – as well as the potential amount of such losses – prior to going forward with any investment. Regardless of what happens with lost funds from a tax or financial standpoint, there is one other potential positive that can come from taking a loss in binary options trading – and that is the learning experience. 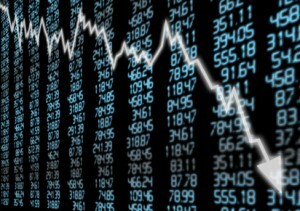 If, for example, a loss was the result of trying out a new trading strategy, it could be a signal that the trading technique should be modified in order to better ensure a gain on the next trading transaction. Whilst binary options trading does not provide stop losses for traders to minimise their losses directly, there are several ways in which losses can be reduced and effectively controlled. The first way to reduce the potential for losses is to trade with a strategy, rather than simply gambling in the markets. Strategies offer you a methodical and tested approach to trading where, generally, the risks can be calculated from the strategy’s historical performance. Binary options have the added advantage of enabling traders to know exactly how much they may potentially lose before even entering the trade which will protect traders from any nasty surprises. Other, more practical ways to minimise losses including choosing a broker offering both a decent protection rate and also the ability to close positions early. In terms of the protection rate, this is the percentage of the initial investment tha tthe broker will return for positions closing out of the money. This can be anything from 5-15% and can be an excellent way to make sure that not everthing is lost through losing positions. The ability to close early is similar to this as it allows losses to be reduced or even winning positions, which may soon be turing negative, to be closed profitably before expiring out of the money.